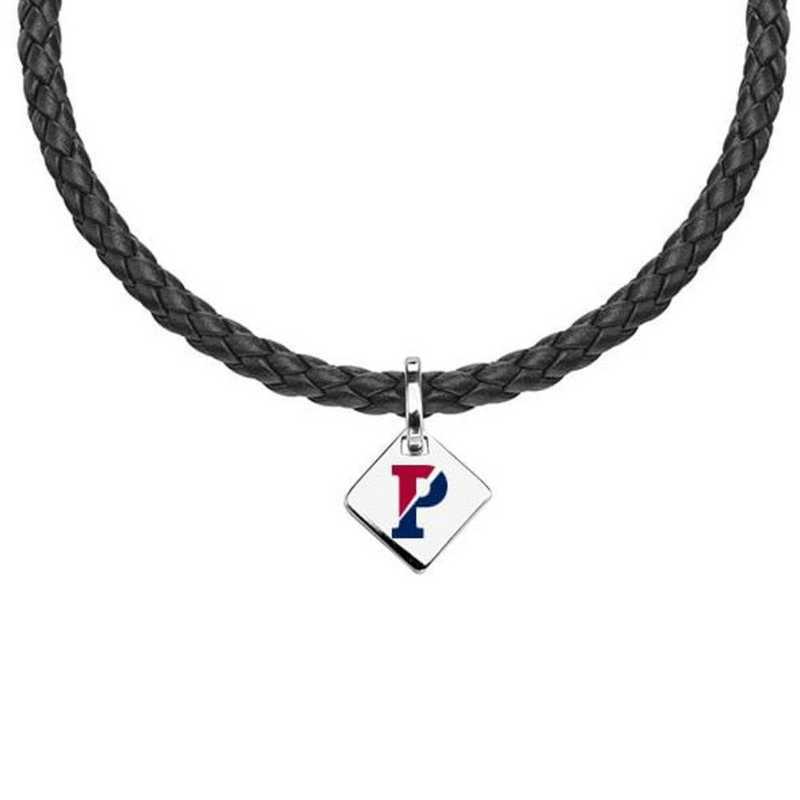 Penn Leather Necklace with Sterling Silver Tag by M.LaHart & Co.
M.LaHart’s University of Pennsylvania leather necklace is a colorful and modern way to show your Penn style. Braided Italian leather cord in black, Sterling silver tag measures 10 mm x 10 mm and features color enamel logo, Convenient and secure lobster claw clasp in stainless steel, Necklace measures 18”, Signature M.LaHart gift box. Officially licensed by University of Pennsylvania. Manufacturer direct from a trusted supplier. You're reviewing:Penn Leather Necklace with Sterling Silver Tag by M.LaHart & Co.